Feeling so grateful to live in these exciting times. We are on a profound pathway of Healing and Transformation of millenia of conditioning. All souls who have chosen to be here in this space and time have such brave hearts! Clearing and getting ready for new earth consciounsness. I am here to make my contribution to the shift from fear based conditional programming to a heart-centered, free and light loving way of living with joy and abundance. To a life in which we honour mother earth and all living beings, honour our differences and recognise our ‘same-ness’. To support living beings who are ready to make the journey as well. The journey to more freedom, love and truth. To your innermost self! I know… it takes courage, dedication and a lot of self love to take a good look and deep feel into oneself … to recognise , acknowledge and release deep fears, unhealthy patterns and conditioning of years, ages, lifetimes even. I know, and I am still peeling off layers, with more and more trust and joy. I feel so much more really ALIVE! The current wave of strong Sister & Brotherhood and with that deep healing of the unbalanced masculine & feminine energies inside and around us, is somtetimes painful and yet showing amazing beautiful results when one is willing to do the inner work. I notice myself and in others I meet. And more so when beautiful people are coming to ‘our’ Sacred Space – lightworkers of all kinds and their participants. I am grateful to be serving as spaceholder for this growing community. There have been many inspirators, guides and teachers along my path. Some just by moments of clear transmission, some by walking together for a while in trainings, teachings, retreats or in daily life as friends, as lovers. Some by being born from me. Yes, my daughter has been my greatest teacher! Ultimately, we are our own guides. And yet, the teachings and tools that have supported me on my journey have been so profound, that I bring them with loving dedication into everything I offer. From workshops, programms, classes to private sessions. I feel humble and excited at the same time to meet you there! 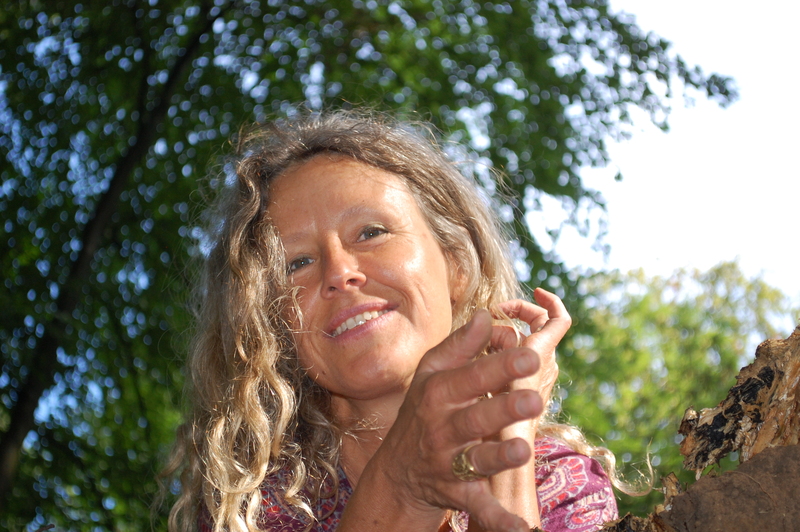 Kali Workshop – To free your essential feminine power (met Hanneke Wolff) – zondag 3 maart. Bij interesse of vragen kun je contact opnemen t: 0621850126 of mail: mavansprundel@outlook.com. Yoga, Tantra, Shamanism, Vedic Astrology, Plantmedicine, Inner Child Work, Voice Dialogue, Womb Wisdom, Bio Resonance, Art of Dying, teachings of Byron Katie, Gangaji, Eckhart Tolle, Mooji and the teachings of Mary Magdalene. Every experience is an invitation, to see, to feel, to love all of ourselves, to embrace all of life, in the here and now.